It's 2018. Chuck Spelvin, American, now faces a dilemma. Last night, he read the riot act to his pre-teenage son, who had just been suspended from school. A "disrupter." That's it! At first, no coherent elaboration. It's just that Billy Spelvin had "disrupted a class." But how could that be? All previous reports Chuck had received from the school indicated the boy's educators viewed him as a model student, and very bright. Something here does not add up. There was some scuttlebutt that the issue with this particular school suspension resulted from "political pressure" above and beyond the more or less standard verdict of "he's been a bad boy." What's the issue? Billy disputed a teacher's view on Christopher Columbus? (The boy says he was respectful. She says the lad "diminished" her authority.) Whatever the case, here's the first question: A mere difference of opinion on a historical figure embroiled young Billy in a local school suspension? Really? No, no, no, that would be absurd; that's penny-ante stuff. Indeed it would. Why then was it used as a pretense? Let's dispense with the disingenuous stuff. Two things are obvious. One is that this was bigger. Much, much more serious than claimed. This was no two-bit hit job. Spelvin's own investigation (on behalf of his son) leads him to discover a dark, warlike effort (even in our land of the free) where the citizen who defies government authority doesn't just take his losses like a gentleman and live to fight another day. Not at all; he is to be punished and his future destroyed. Washington seeks to destroy local citizens? "Obama's racial bean counters," wrote Sperry in 2015, "are furiously mining data [on everyday Americans] on their health, home loans, credit cards, places of work, neighborhoods, even how their kids are disciplined in school...." Uh-oh! Gasp! Ding! Ding! Ding! Shiiiiiir! Whuuuur! scream the bells and whistles in Chuck Spelvin's head as he reads these writings in 2018 authored back in 2015. So that's it! 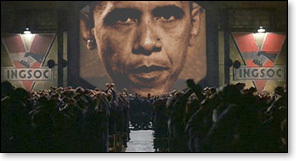 We were warned even three years ago that a prying, authoritarian, dictatorial society for which Obama was scheming during the final months of his last term was in the making while most of the media distracted our attention elsewhere. As some have already learned in 2015, there exists to an extent rarely thought likely in the America they thought they knew (because "it can't happen here") a collection of personal data on a president's constituents for which any tyrant would be envious to have on his subjects. Truly an "Orwellian stockpile," as Sperry calls it – all to make a permanent network of discrimination "disparate impact" cases against: banks that don't make enough prime loans to minorities; cities that don't make enough low income housing for minorities; employers who turn down African-Americans for jobs due to criminal backgrounds; schools that suspend too many blacks. 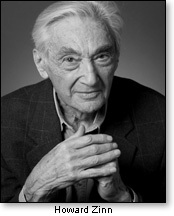 As is evident from that lineup, the issue with the Spelvins and a teacher was not Columbus; the younger Spelvin thought the explorer was a hero, the teacher deemed him a monster (according to the Marxist theory that she "learned" from reading communist writer Howard Zinn and others of similar ilk). And that is the "cover" story as to why the student was suspended. And the feds make it clear: That dispute is to be equated with an earlier riot in the class stirred up by a student of different ethnicity because his father couldn't afford to buy a nicer home (the student brought it up in a civics class discussion). So a couple of weeks after that, here comes this kid saying nice things about Columbus? Can't have that, thought school officials. We have to focus on that "privileged" Spelvin kid and suspend him to make up for the "disadvantaged" one we previously had to give the boot and for which the feds threatened to deny us some advantages of government support. Doesn't matter that the Spelvins themselves are not living in Rockefeller-type mansions, but are middle class; very American. Some of our worst fears as to what the president meant when he said he would "transform America" are heading at top speed to reach fruition. This warning: "Big Brother Barack wants the databases operational before he leaves office, and much of the data in them will be posted online." What's next? The midnight knock on the door? How many school suspensions and other steps until we reach that? Again, it's none of a president's business what kind of people live in their neighborhoods. This goes back to the Obama war on the suburbs about which this column warned prior to the 2012 election, and again a few days ago. 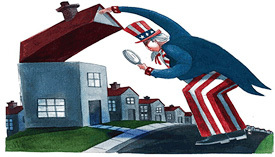 The government's Affirmatively Fair Housing Furthering Database is planned to be set up to "racially balance the nation, zip code by zip code." And get this! Cities deemed "overly segregated" – I digress. It is outrageous that professional race-baiters today use the word "segregation" to describe the plight of African-Americans in the year 2021. Enforced segregation was outlawed decades ago. But today it is used as a slur because of the Al Sharptons of the world. (BTW, Sharpton has been found in a court of law to have misstated the facts – to put it mildly – in the racially-charged Tawana Brawley case, wherein he was the accuser. The charge did not hold up, got nowhere.) Note: Google the Brawley case. If the federal government gets its way, any area with 50% or higher of non-white populations may be classified as a "segregated" place. And we're not just talking about mortgage contracts as the database. Federal documents indicate anything reported to credit bureaus – from credit cards to student loans to car loans – will be included. That is even more than the IRS collects. We could go on all night, but, in short, the government wants to sweep up info on your personal assets, any bankruptcies you've had, the footage and lot size of your home, as well as your interest rate. It seems that no part of your life is left untouched by whatever fishing expedition is launched. We've barely scratched the surface here. There is good reason to believe that as Obama's days in office grow fewer, we will hear much more. The situation will become even more desperate if Hillary implodes and Sanders and Biden are deemed unelectable. Then there may be a type of showdown heretofore unknown to any of us. We'll save that for the future. Already Obama is whining because the Constitution says he can't run for a third term. 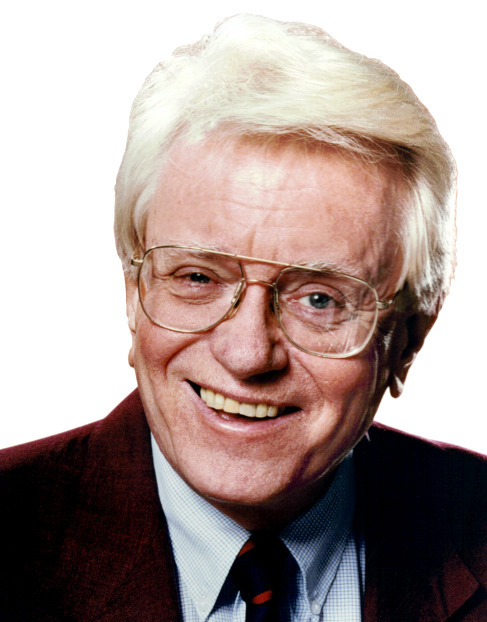 Wes Vernon for decades was a broadcast journalist.